The upside of having to walk most of my 50K was that I was able to enjoy the beautiful desert flora. That is gorgeous. 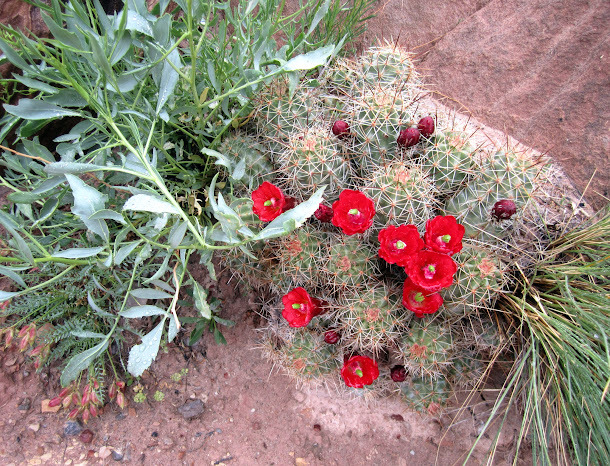 I love the red colors of the flowers with the red dirt.